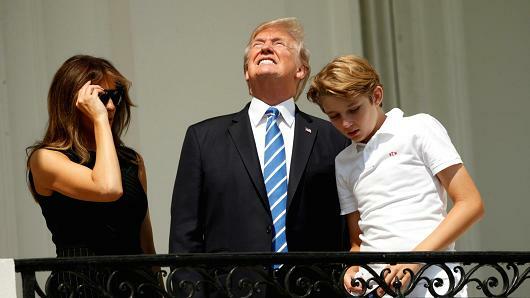 WASHINGTON -- President Trump, back in the White House after a 17-day 'working vacation' in New Jersey and New York City, was able to view today's much-heralded solar eclipse from the Blue Room Balcony along with First Lady Melania Trump and son Barron. When asked by a reporter "how's the view," the President produced a thumbs-up gesture, and, after the eclipse had ended, said at a brief news conference that it "was the best solar eclipse in history." 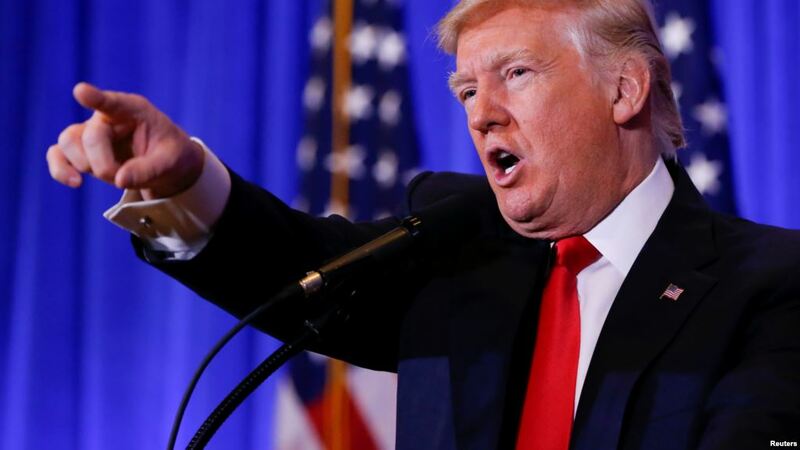 "No one has ever seen an eclipse this terrific in the history of the world, and that's because you didn't have Trump at the helm," he told CNN's Jim Acosta. "Maybe that's some real news for your fake news network." Although there was some concern when the President gestured to a large crowd of aides standing below on the South Lawn, shouted, "Don't miss the Trump eclipse!" and pointed to the sky without his glasses -- resulting in one concerned staffer shouting "Don’t look!” -- Trump later tweeted that his eyes are impervious to any damage from the sun. "These Trump eyes are endescrutable!" insisted a follow-up tweet.